The court asked the Delhi government's counsel to take instructions and inform it why the date for admission process for EWS category has not been fixed yet. 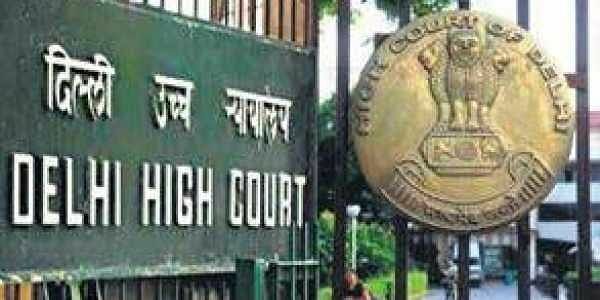 NEW DELHI: The Delhi High Court today directed the AAP government to resolve the difficulties faced by parents under the economically weaker section (EWS) category for admission of kids in nursery in private schools here. The court was anguished that while the process of nursery admission has already begun in the private schools here, the government is yet to declare the date for EWS category. "EWS category is facing lot of difficulty, please look into it," a bench of Acting Chief Justice Gita Mittal and Justice C Hari Shankar told the counsel for the government. When the counsel said he wished to address on the issue, the bench said, "We do not want you to address here. We want resolution." "Parents must know (dates) well in advance because it is natural that every parent has aspiration to admit his/her child in a good school and it is not wrong. Why have you not started it (process of EWS category) yet," the bench said. The court further asked the Delhi government's counsel to take instructions and inform it why the date for admission process for EWS category has not been fixed yet. The court's query came during the hearing of a PIL filed by an NGO, Justice for All, through its counsel Khagesh Jha, who has urged the court to direct the authorities to make appropriate arrangements for daily collection and disposal of garbage from the premises of these schools. The bench said that they had read in newspapers about the difficulties faced by the parents, who wish apply for their ward under the EWS category. The NGO, however, in its plea has claimed that multiple agencies in Delhi were busy shifting the blame on each other and that there was no coordination between these agencies as regards improving the infrastructure for the students. It has also dealt with the "poor" condition of toilets in these schools. Meanwhile, the South Delhi Municipal Corporation, in its response to the petition, said that it was working for the betterment of schools regarding infrastructure, hygiene and staff and to provide more facilities to the children. It further said that to improve hygiene and sanitation conditions, the corporation has asked the school principals to constitute a committee which will be responsible for maintaining cleanliness in schools. It said that thought teachers' appointments are not based on gender as of now, efforts are made that women teachers be posted in girls and co-ed schools.